Had a busy weekend visiting Slimbridge amongst other places. It is a wonderful place for photographs, although I wish I had gotten some better ones out of the 250 I took this weekend. 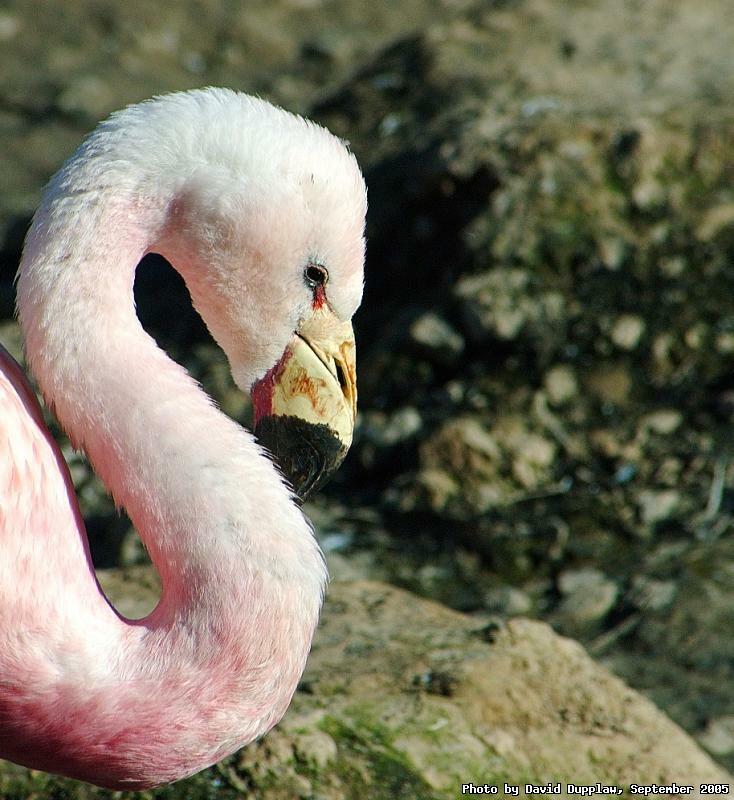 Here is one of the flamingos that are kepts at Slimbridge. Flamingos are pink due to the shrimps they eat, and they have to be fed special food when in captivity to keep them pink. Some of them in the park were white - obviously not eating enough of the special food!